Our last CG Realtors Spotlight shone some light on how easy it is to get a custom made suit with Christian Roche Bespoke. Now we take a trip to Claremont and dive into Nuno’s Bistro & Bar. 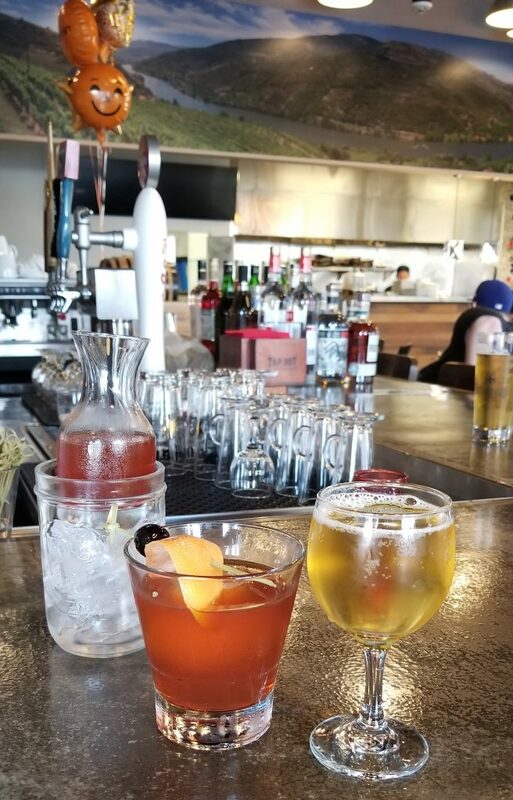 Located a next to the Claremont Colleges on 6th street between Claremont and Monte Vista Nuno’s Bistro & Bar is serving out delicious modern European cuisine with influences from Portuguese, Spanish, French and Italian foods. Their most popular dish is the Seafood Paella (pictured below) featuring saffron rice with a heavy helping of mussels, prawns and more. Nuno’s also features a number of craft cocktails with all ingredients being made in-house. Their Old Fashioned uses a house made bitters and is served with a little something extra on the side. Nuno’s also has Estrella Damm on tap, a beer brewed in Barcelona, Spain that holds the holds the distinction as the oldest in Spain. Here the bartenders make their own cocktails with their own liquors. all around the space you’ll find small barrels and jars holding all variations of liquors and ingredients for their cocktails. Check the map below for directions and don’t forget to follow Nuno’s on Instagram and Facebook.